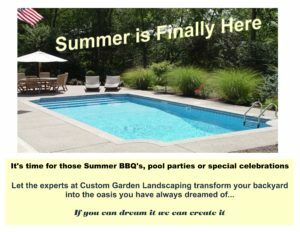 Custom Garden Landscaping takes great pride in every commercial landscape project. We want you to enjoy an outdoor environment that enhances your company’s exterior image, and pleases your employees, visitors, and customers. 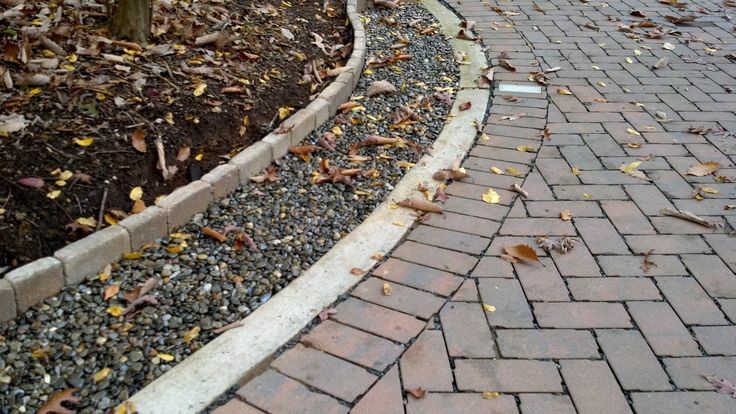 We create landscaping that perfectly complements your building’s design. 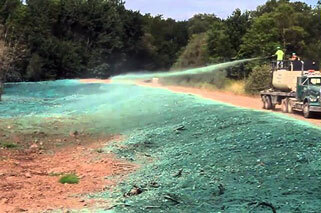 Hydroseeding is a process of mixing grass seed, fertilizer, and a mulch then applying that mixture under pressure with a hose. Hydroseed typically germinates faster than seeds alone, because seeding requires several days of watering to reach the same level of moisture saturation the grass needs to grow. and be planted with shrubs and flowers. 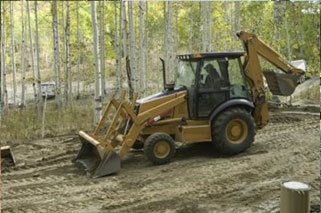 French drains are typically used close to a home where you do not have the ability to grade the property. They can cover a long area. French drains are a quick way to remove water out and away from the structure. Swells are used out doors in the landscape in areas that have hills. Instead of having a hillside slide down when there is a heavy rain, a swell is installed and the swell redirects and helps remove the water to help prevent erosion control. 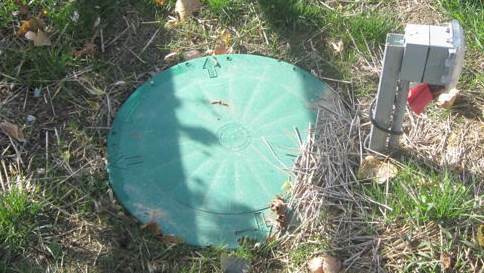 Under Ground Drains are a series of drain pipes that are underground with the surrounding dirt and grass graded to grates that will catch and remove the water. Grates come in different sizes and shapes. They even come in different colors to help them blend in with the surrounding terrain. Sump Pumps are used when you are trying to remove water from an area that is below the grade of where you want the water to flow to. 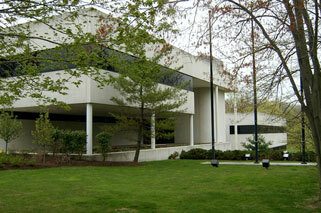 We offer a full-range of commercial landscape services for large and small commercial properties. 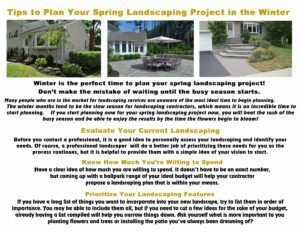 We meet the landscape management needs of homeowner’s associations, apartment complexes, office buildings, and retail complexes. 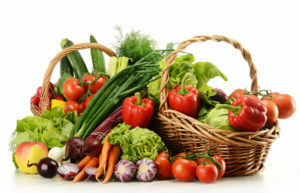 We can specifically tailor a landscape maintenance and mowing plan to the needs your particular business. 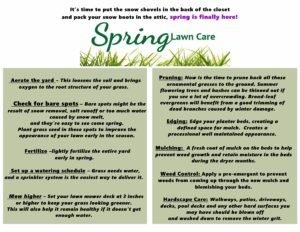 Our crews show up on time and perform your landscape and lawn maintenance quickly and efficiently. 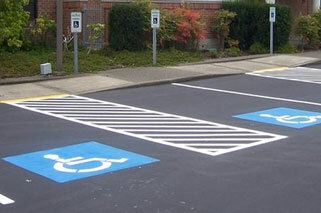 If your parking lot looks old, cracked and not clearly marked, it can be a deterrent for potential customers. A neat clean, clearly marked parking lot will inspire confidence and professionalism that will make potential customers want to stop, park and shop. Our residential and commercial snow plowing professionals are connected to each other with our dispatch center,GPS tracking system and cell phones. This helps ensure any issues are handled promptly and we can quickly get our staff and their equipment where they need to be. 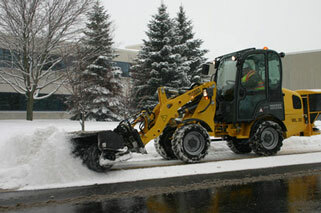 Our snow plowing crews are on-call 24 hours a day,seven days a week, including holidays.